This morning, Josh Jones highlighted for you the new HD versions of Beatles videos on Youtube, and, along the way mentioned that, starting today, the Beatles' music catalog -- 13 albums and 4 compilations -- would become available on various music streaming services, including Spotify. 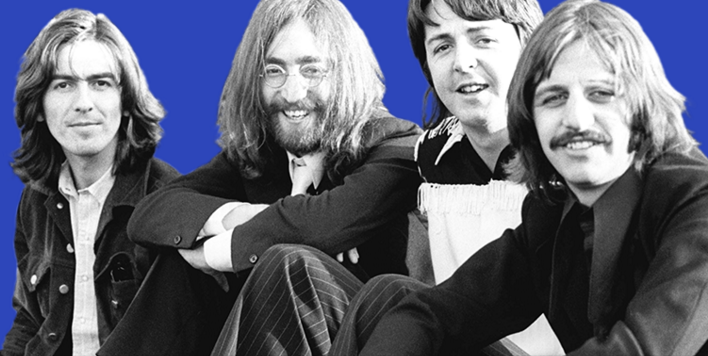 The switch has been flipped on all of that, and below, you can find a Spotify playlist of the Beatles' albums. 14 hours of Beatles bliss. You can also access the Spotify playlist on the web here. If you need to download Spotify, find it here.